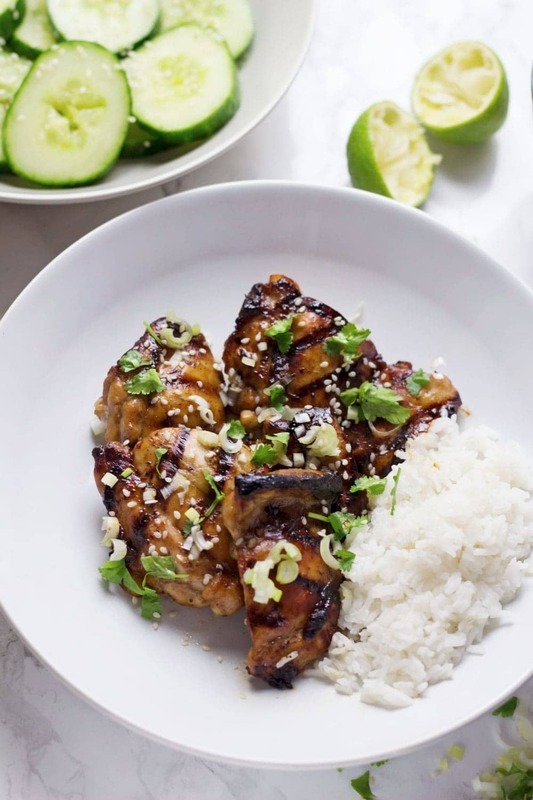 This grilled chicken with peanut sauce is served with a cooling sesame cucumber salad. 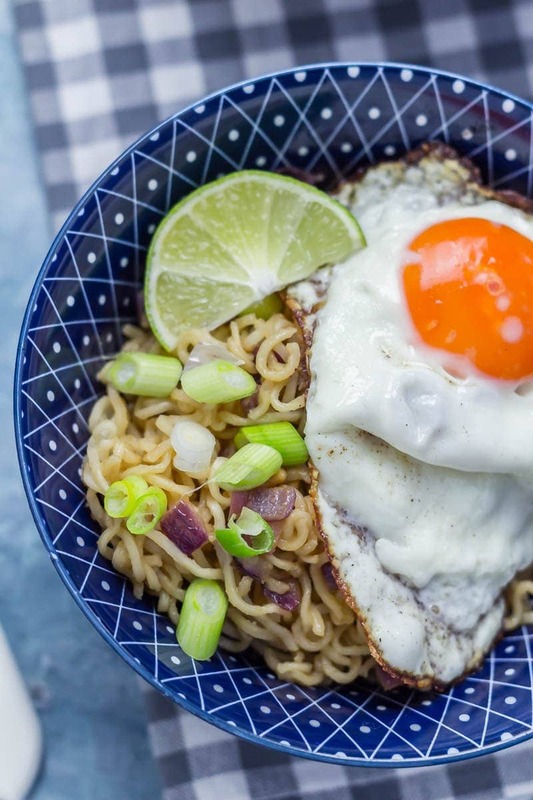 The recipe requires minimal fuss and feels super indulgent! There are some things that I just can’t wait to make again as soon as I’ve eaten it. This peanut sauce was one of those things. I am forever and always a huge fan of any meals involving peanuts. They go so perfectly with this kind of spicy, salty, meaty dinner. 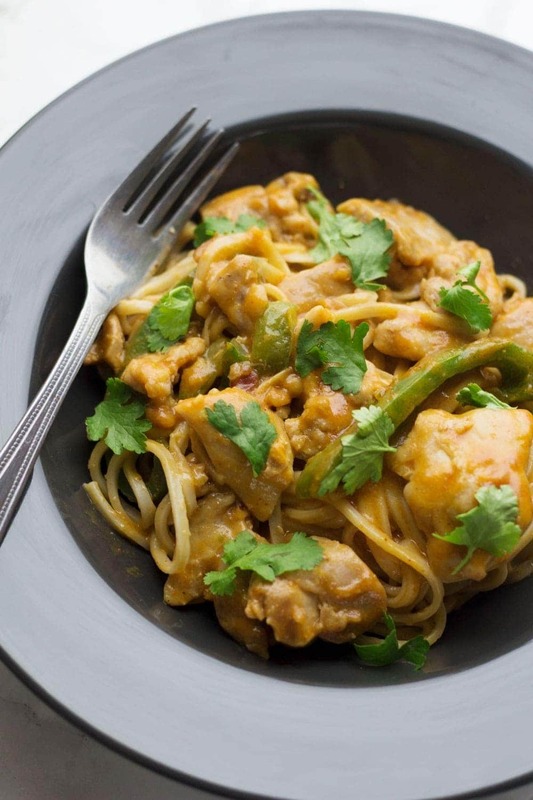 The recipe for this sauce has a nice bit of heat from chilli paste and it tastes great not just with chicken but also would be fab with other grilled meats or vegetables. 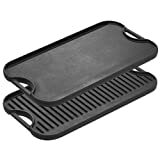 We made the chicken using this cast iron grill which is one of our absolute favourite thing to cook with (however much of an effort it is to wash up!) but this would be a perfect meal for cooking up on the barbecue. The chicken has a simple sticky glaze of soy sauce and honey with a fat clove of garlic mixed in to give the most fantastic flavour! The other amazing thing about this recipe (ok let’s be real, it’s all amazing!) is the sesame cucumber. It perfectly cools everything down. I took the inspiration for preparing this cucumber from traditional smacked cucumber. It seems pretty weird but you give the cucumber a few whacks with a rolling pin before slicing it and it helps to make the cucumber super juicy and tasty. Combine it with some rice vinegar, sesame oil and garlic and you’ve got an amazing side which would work with so many different dishes! 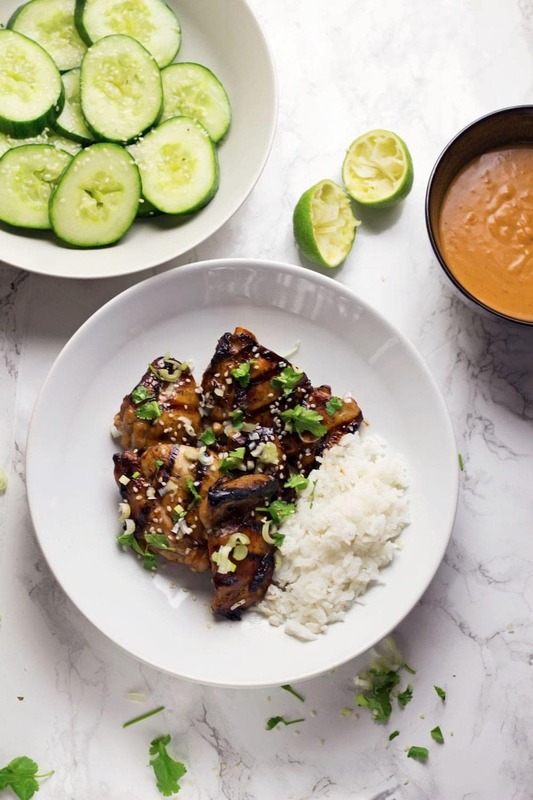 WONDERING WHAT TO DO WITH THE LEFTOVER INGREDIENTS ONCE YOU’VE MADE THIS GRILLED CHICKEN WITH PEANUT SAUCE AND SESAME CUCUMBER? To make the sauce whisk together all the ingredients and set aside until ready to use. To make the cucumber hit the cucumber a few times with a rolling pin. 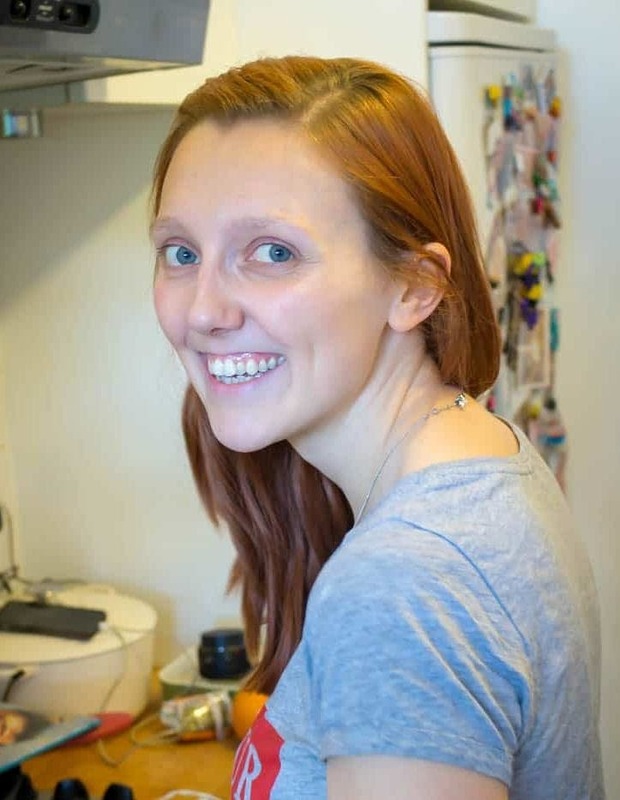 Slice the cucumber and place in a colander with a sprinkling of salt. Put the colander over a bowl and leave for 10 minutes. 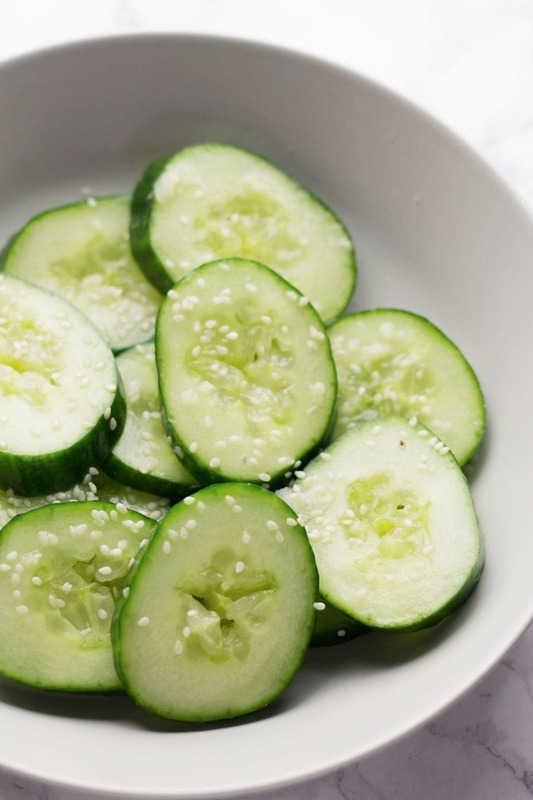 Place the cucumber in a bowl and mix with the sesame oil, rice vinegar and garlic. Garnish with the sesame seeds. 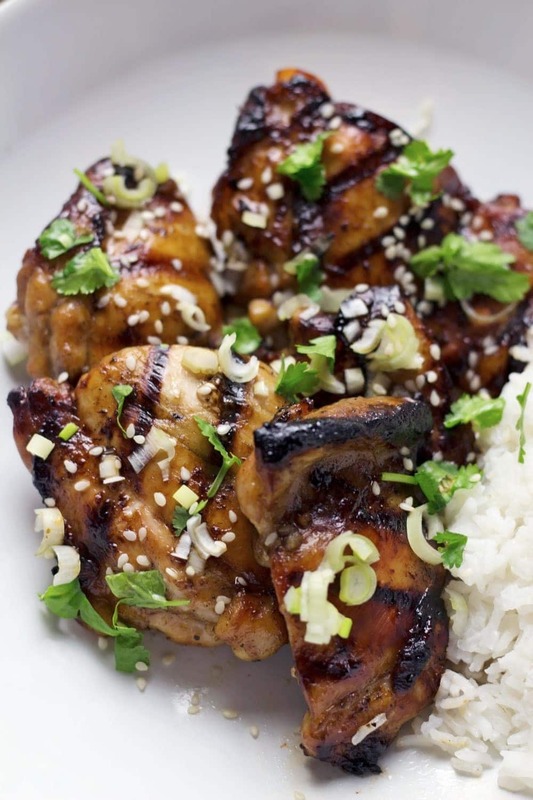 To make the chicken coat the chicken thighs with the soy sauce, honey and garlic in a bowl then cook on a grill or barbecue for about 5 minutes each side until cooked through. Serve with the sauce, cucumber and your grain of choice. This looks FAB!! Wow, I love the flavor! 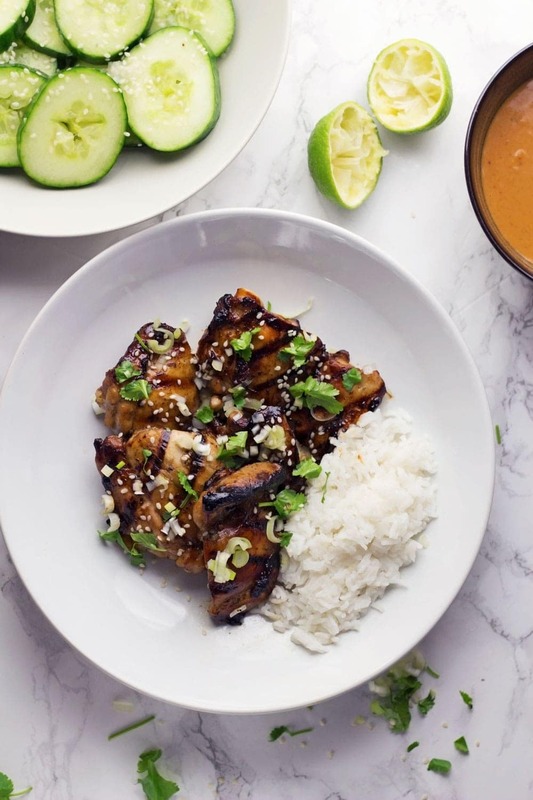 I loveee peanut sauce and this chicken looks seriously amazing! I love peanut sauce! And those cucumbers look like the perfect accompaniment!